Home / News / The Milan Coffee Festival is coming: we wouldn’t miss it for the world! La Genovese will be among the protagonists of the Milan Coffee Festival, the first Italian edition already organized by Allegra Events in London, Amsterdam and New York and that in the next months will also land in Los Angeles and Cape Town. 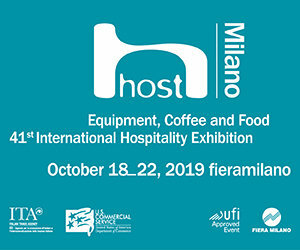 A great event that will be held in Milan from November 30th to December 2nd 2018, dedicated to all those artisanal coffee lovers. An event that La Genovese, always ambassador of the tradition of Italian Espresso in the world, could not miss. During all three days of the Festival, our coffee experts will offer a tasting of all the INEI (Italian National Espresso Italian Institute) certified blends of La Genovese which will be participating in the International Coffee Tasting 2018. Among these, in addition to the best “traditional” blends, it will be possible to taste, always in Espresso, the new organic and UTZ certified Juta blend, produced respecting the rights of workers and local populations. At La Genovese corner (Booth M29), will also be an opportunity to taste the Borea Specialty Coffees, extracted both in Espresso and filter, a selection of the best single origin, coming from micro-plantations that La Genovese has started to select since 2015. The Milan Coffee Festival was chosen by La Genovese to present the new four specialties that, from December, will enrich the wide range of Borea Specialty Coffees. Guatemala Geisha, an excellence among coffee, with hints of jasmine, apricots, mandarin and aromatic herbs; El Salvador Honey with the characteristic aroma of lime, pineapple, yellow fruit, peach, caramel, walnuts and almond; Dominican Republic Honey with a taste of dark caramel, dried fruit and sugar cane; Kenya Ibuti with an intense floral aroma with hints of peach, orange banana, tea and chocolate. The other Specialties offered at coffee lovers during the Milan Coffee Festival will be the Burundi Fully washed and the Rwanda Women Washed Station Crop, produced by women’s cooperatives and the Guatemala Finca Ceylon and the Mexico SHG Finca Genova, organic productions and UTZ. On Sunday 2 December, Sara Trotta will join the other coffee specialist, coming from the final days of the “Italian Espresso Champion 2018”, the international championship that selects the best barista in the world. La Genovese, attentive to the processing and roasting of coffee for consumption at the bar, at home or to coffee lovers, with continuous investments in staff training and in the dissemination of Espresso culture and coffee filter, will be available to explain the commitment and the passion of their work and its ability to interpret the evolution of habits and taste to offer a product that is always keeping up with the times. For the community of baristas and all coffee lovers, the appointment is at the Milan Coffee Festival, La Genovese (Stand M29) from November 30th to December 2nd at the Spazio Pelota in Via Palermo, 10 in Milan.